Are you involved in a project providing citizens with access to high-speed broadband internet? 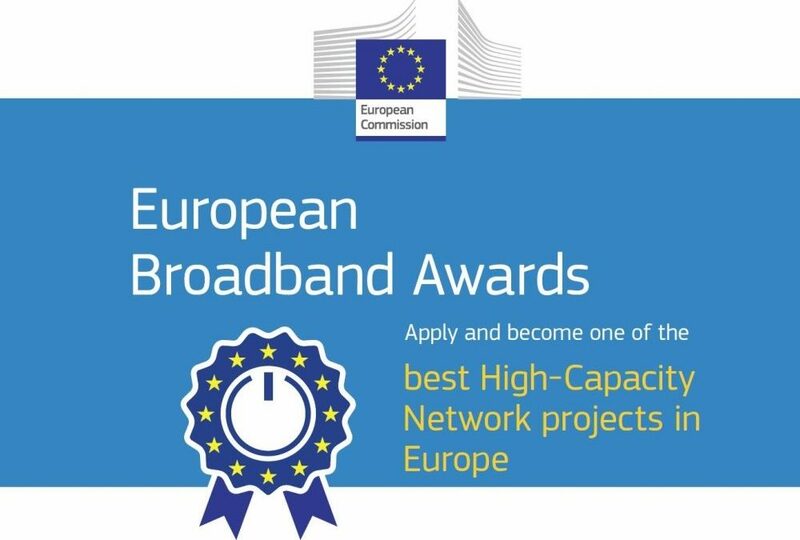 Apply for the European Broadband Awards 2019! All successfully implemented or advanced (at least 65 percent implemented) projects, big or small, rural or urban, private or public and of all technologies may apply for the awards. The application deadline is the 28th of June. The winners will be announced and awarded by the European Commissioners at the ceremony in December and invited to present the projects at the Broadband Day in Brussels. The winners will also be featured by the European Commission in the media, at the Digital Single Market website, the newsletters and the good practice database of Broadband Europe. Download the application form (xlsx file) and the guide for applicants (PDF file). Carefully read the guide and explanations in the application form. Fill in and submit the application (as xlsx file) via e-mail. The deadline for submitting the applications is 28th June 2019, 16:00 CEST. Projects that applied effective and innovative financing, business or investment models will choose this category. The category is addressed to projects that applied measures exploiting the synergies between different infrastructures and strived for cooperation among relevant stakeholders in building and investing in infrastructure. This category is for projects that have direct and indirect socio-economic impacts and substantially improved connections to and in remote and rural areas. Projects that implemented measures stimulating the demand side and increasing the take-up of services will apply in this category. The category addresses projects focusing on providing high quality and affordable services for end-users. More details are available at the European Broadband Awards page. The European Broadband Awards are managed by the European Commission (DG Connect) with support from atene KOM.